Could Laser Tattoos Replace Sticky Fruit Labels? 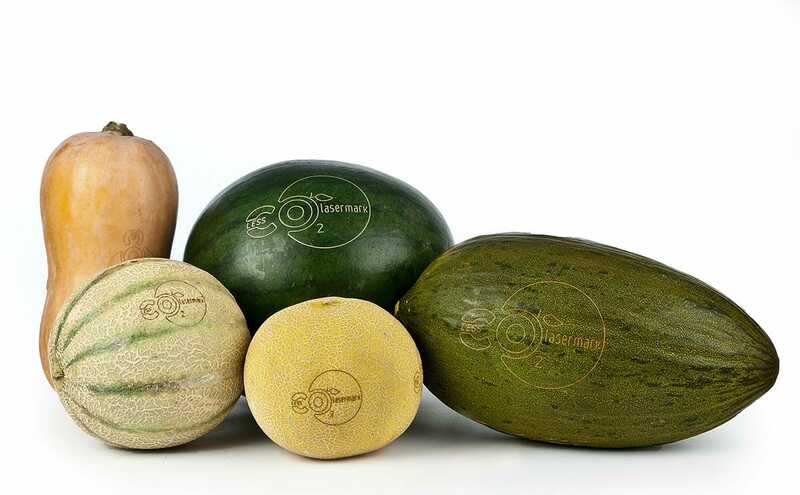 Laser Food is hoping to usher in a new era of eco-friendly, extra efficient labeling for produce - just add laser tattoos. That’s great for the earth but tough for tracking purposes. Unlike granola bars or trail mix or any kind of man-made munchies that have boxes and wrappers printed with all kinds of info, often times the only thing telling you anything about that melon you’re about to consume is a small sticky label emblazoned with a bar code and little else — that is, if it hasn’t fallen off already. Laser Food is hoping to usher in a new era of eco-friendly, extra efficient labeling for produce. The Spain-based business has teamed up with researchers from the University of Valencia to develop technology that brands each item’s exterior, without affecting its quality — inside or out. “The concept is the answer to a major problem in the industry: total traceability of fruits and vegetables, by the piece, until they reach the consumer’s table,” says export sales director Stephane Merit (who also works with Maxfrut, which manufactures the machines). 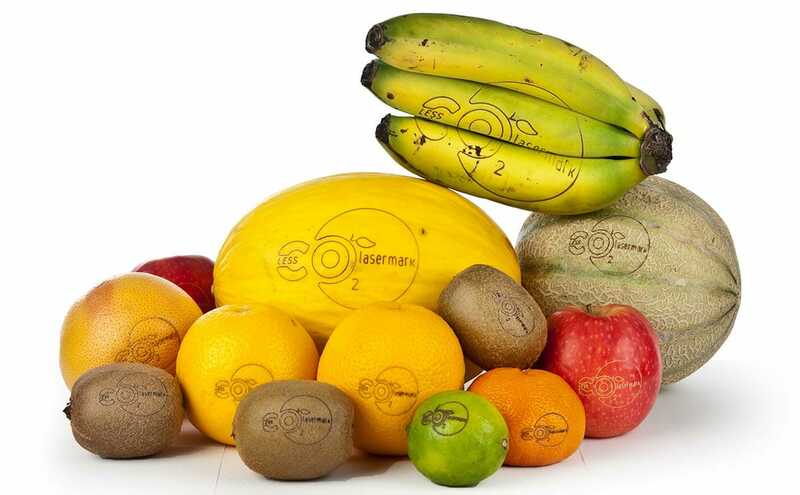 Laser Food hopes to change the face of fruit labeling, one laser-etched fruit at a time. Rather than use pressure to physically imprint the goods, which can result in bruising and damaged skins, Laser Food’s innovation involves depigmenting the exterior then applying a contrast liquid composed of iron oxides and hydroxides to make the mark visible — no penetration required. On June 23rd the EU authorized the components as healthy, non-toxic, and completely okay for human consumption; a ruling that actually follows the Food & Drug Administration’s approval last year of a similar process championed by Georgia-based fruit and veg systems specialist Durand-Wayland with West Coast citrus behemoth Sunkist. The laser solution, applied between the sorting and packing part of the process, essentially eliminates the need for the additional supply chain dedicated to stocking and managing the traditional stickers — production of which requires its own stock of paper, inks, and glues — resulting in a reduction of nearly 35 percent in total energy consumption. A short training session is enough to familiarize handlers with the equipment, and once everything is up and running it can register a few pieces per second with any kind of info or logo, at the cost of about .001 pennies a pop. Plus, easy customization of the software program allows for a pretty infinite array of options in terms of info to include, how it’s displayed and even seasonal greetings from the farmer straight to you at the grocery store. Seeing your flawless apple’s shiny hide emblazoned with a logo or pedigree might take some getting used to. Sure, it isn’t quite as appealing as having a bowl of unblemished Granny Smiths on your kitchen counter. But as consumer interest in the origins of their vittles steadily increases, this non-invasive strategy might make some serious strides in tracing your food’s true provenance.